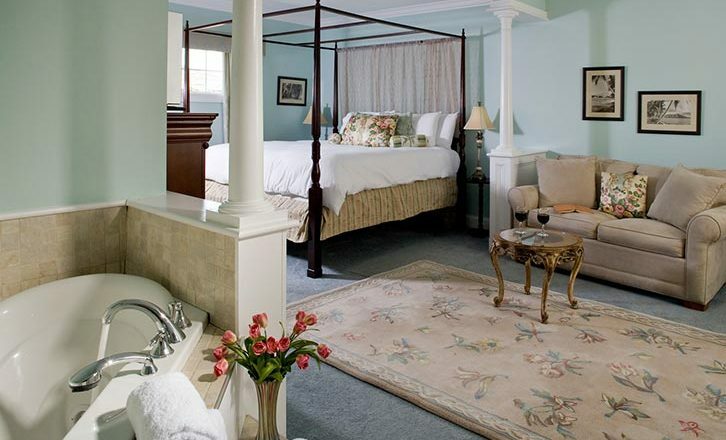 Our king suites represent the best of Hampton Terrace. 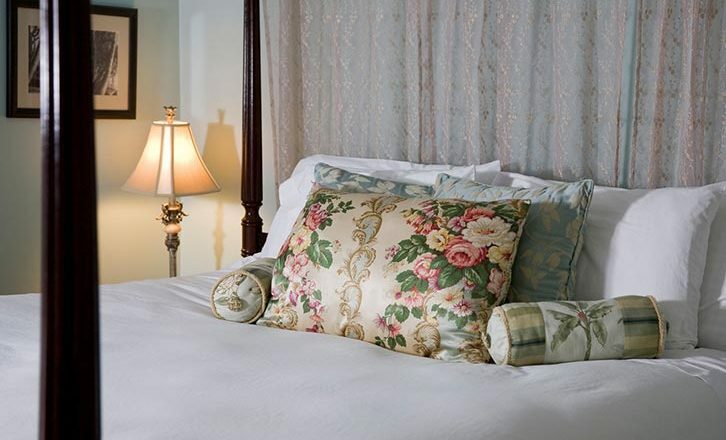 They are private, spacious and beautifully appointed, they feature your own personal entrance and sitting porch next to our outdoor, heated pool. 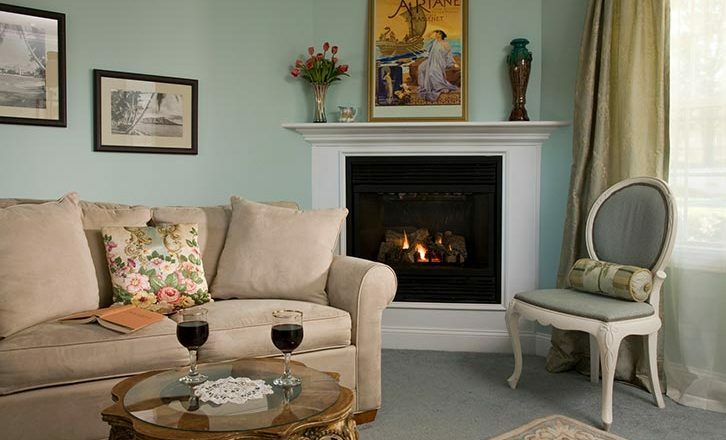 Relax in your living room area (not a separate room) with an overstuffed couch (can be converted into a bed), romantic gas fireplace, wet bar and refrigerator. 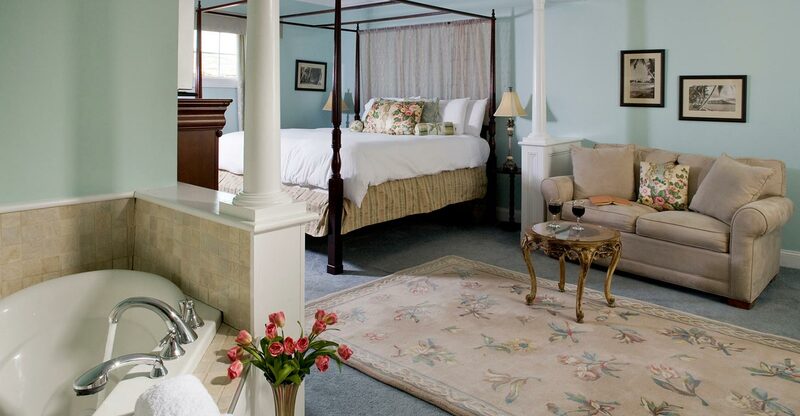 You will have a hard time leaving your huge four-poster king bed each morning. The suite also features a widescreen HD television featuring hundreds of Time Warner channels. Pearl Davis (Hill), Susan’s paternal great grandmother, whose portrait hangs in our living room, was born in 1881 in rural upper Mississippi. She was known as one of the most beautiful women in the state, but when she chose to marry Ed Hill, her parents said they would rather see her in a casket than marry that scoundrel. When Ed came to take Pearl away in a wagon, her father followed them with a shotgun to make sure that they indeed had a legal ceremony. Pearl and Ed had five children but she died in 1919 at age 38, five months after having Pearlie Lucille. During their marriage Ed was well-known for the quality of his moonshine and he was considered one of the two most notorious bootleggers in Texas, ultimately being turned in by his rival. It took six Texas Rangers to haul him in. We have a touching letter he wrote in 1920 from prison to his infant daughter, apologizing for having to leave her. In the letter, he describes Pearl as a “perfect lady.” Our granddaughter has been named Emily Pearl Vining.